1: What really inspired you to write your book, to force you from taking an idea or experience and conveying it into a book? I had quit a corporate job to finish my novel. I had gotten a very encouraging note from a literary agent in NYC and thought it was a safe bet. I made a series of mistakes in handling that situation and it cost me years of angst, disappointment and discouragement. About five years after quitting my job, I started to connect the dots: OH! THIS is how you do it! There was a roadmap for becoming a successful author but no one had shared it with me. And that means professors in college and my MFA. I thought “I have to get this information out to writers. It will save them years of mistakes!” I began to talk about the idea to my colleagues and everyone agreed that there was nothing like this book on the market. So I wrote up a proposal and pitched it. The first publisher to look at the proposal took it. 2: What is it about and whom is it targeted to? The book outlines the clear steps and practices that both aspiring and established writers might want to consider following on their path to success. The target audience is aspiring writers and students, writers who have been writing on their own but are stuck on how to move forward, and established writers who have achieved a modicum of success but want to accomplish more. 3: What do you hope will be the everlasting thoughts for readers who finish your book? 4: What advice do you have for fellow writers? Work hard, give your work your best shot. Get lots of feedback and listen to it. Don’t work in a vacuum. And at the same time, have a sense of lightness about your work. Some work might resonate with readers, other work might not. That does not mean that one piece is more valuable , it just means that some work hits a chord or zeitgeist. Be true to your work and confident in it. 5: What trends do you see in book publishing and where do you think the book publishing industry is headed? I think there is good news and bad news in the book publishing industry. ON the one hand, lots of books are being published. But if you want a publisher at the big 5, you have to already be famous. (think Barack and Michelle Obama’s 60 million dollar book contracts.) And, on that note, if you are not famous be ready, as an author to do most, if not all, of the heavy lifting of selling your book. In other words, the trend is that even big publisher are not supporting authors with book tours, marketing budgets and publicity. The other trend is reading on phones, tablets and kindles. That means not as many hard and soft covers. People want to read but they are mobile, traveling, etc. And, audio books are huge. 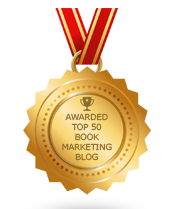 6: What great challenges did you have writing your book? Writing a how to book that, while wanting to be emphatic about my recommendations still was gentle enough so that readers could absorb, listen and deeply think about what works for them. This is not a ‘how to book’ with black and white advice; there are grey areas, ways to tweak the system to work for each individual. It’s not a diet book, haha. 7. If people could buy one book this month, why should it be yours? Because this book, for the humble price of $22 contains thousands of dollars of advice. When I coach clients, although I have a sliding scale, I am teaching them exactly what is in the book, just doing a bit more personalized and giving more support. But if a writer sees this book as their guide and their friend they are getting many, many hours of my coaching time! The author of three well reviewed collections of poetry, an award winning chapbook of short fiction and a forthcoming novel set in a Silicon Valley startup, Joan has been coaching writers around the world for over ten years. She has presented workshops at colleges, universities and conferences including : Central Coast Writer’s Conference, the San Francisco Writer’s Conference, Mills College and the Southern Festival of Books. Joan is the recipient of numerous awards, honors and commendations including Poets 11 Judged by Jack Hirshman, the Chaffin Fiction Award, Red Room Writers, Poetrymagazine.com and others. The Past President of the Women’s National Book Association, Joan is the founder of a national writing contest, a member of the National Book Critics Circle and Bay Area Travel Writers. See http://joangelfand.com for more info. Great book -- or great marketing? How Many Copies Of Your Book Will You Sell? Can Bibliomania Cure The World?